7 Kids and Us: Umi Shave Club- An Online Shave Club for Women First Box is $10 SHIPPED! 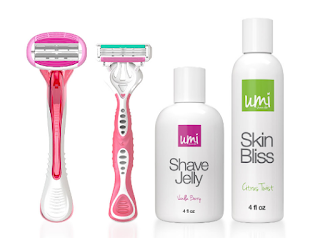 Umi Shave Club- An Online Shave Club for Women First Box is $10 SHIPPED! I dislike shaving. I really dislike it. I don't like anything about it. It's painful, it's not easy to reach some spots, you have to have all the right supplies before starting...Have you ever been to the beach and shaved your legs in the car with no water or soap or anything? It's not easy, but the things we do because we are women. 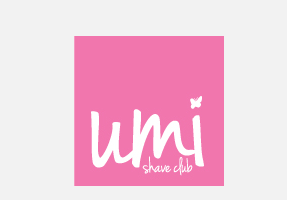 Recently I discovered Umi Shave Club which is an online club that you use to purchase shave kits. 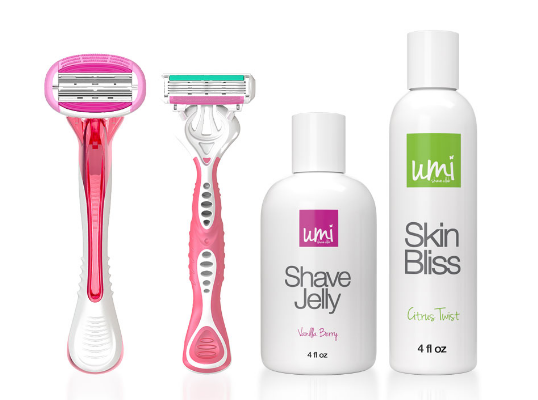 A superior shaving experience is what Umi Shave Club aims to deliver to women everywhere. The new company offers a complete line of skin-friendly shaving products, including moisturizer, shaving cream and precision razors. No-hassle, transparent subscription pricing makes Umi Shave Club the best value on the market today for women who want a great, close shave. First-time Umi Shave Club subscribers receive an "Everything Bundle" as their introduction: one SweetSix Razor, one Fab Four Razor, and one bottle each of ShaveJelly and SkinBliss. This first bundle costs only $10, less than one might pay for a single "fancy" razor from another brand. Each month thereafter, a new Everything Bundle arrives; the monthly subscription cost is $16.50 plus shipping and handling. I love this! Everything shown above, once a month in the mail. For one flat rate. Now, I wont have to worry about not having what I need. You can also customize your own box, you can get a razor starting at just $1.00 a month, and free shipping! Then from there you can add other products, or you don't even need to buy the razor you can just buy whatever you like once a month, with your card on file, it gets delivered. Be sure to check out Umi Shave Club, and give the $10 box a try! Also you can follow them for updates on Facebook and Twitter.